It’s almost impossible not to know someone directly affected by cancer, or a least know of someone affected by cancer, and that in and of itself is heartbreaking. But for anyone, myself included, that has seen someone they love or may in the future see someone they love go through a double mastectomy first-hand (one of the many strategies to get rid of cancerous cells in the breast) it may be challenging to know what to say or do to help. To be honest, as much as I thought I knew prior, I was still pretty clueless in the past. At a complete loss of words or knowledge as to what one would really want or need. And looking back, I feel bad that I was so in the dark. 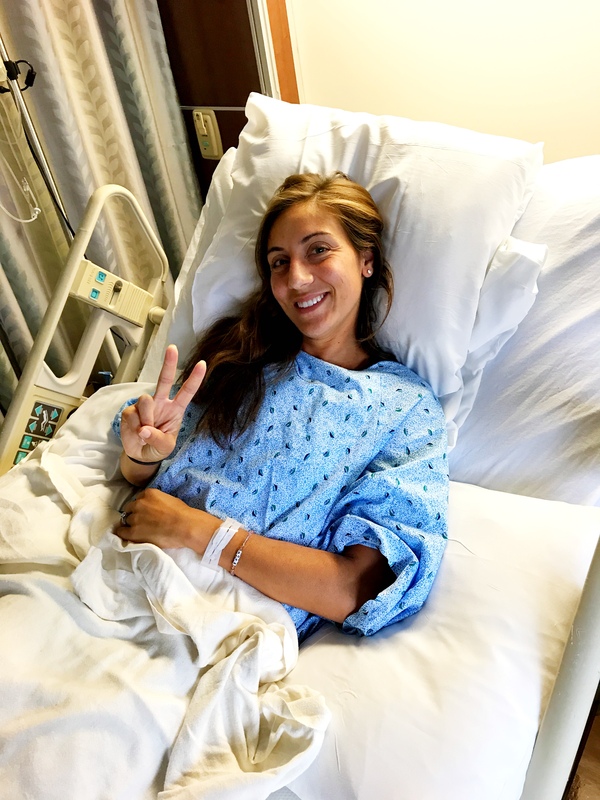 After having gone through this a few weeks ago, for better or worse, I now have a good understanding of a handful of things that might be most appreciated during recovery, or even leading up to surgery day. While mine was necessary, it was thankfully preventative. And although breast cancer was deemed inevitable for me, I was also able to get this procedure done before a diagnosis, and when everything was removed and tested, all came back cancer-free. 1. Button-down shirts are by far the most necessary piece of clothing to add to your closet if you are prepping for this surgery, so minus the three days that you will be in the hospital, and, therefore, in the easiest, most fool-proof thing to wear: the hospital gown, you will require a bucket-load of button-down shirts to get you through weeks of not being able to lift your hands over you head. And countless times a day where you will need to access the front of your body to change the drains, gauze pads and medical bras. And add in the numerous doctor appointments that follow for months after surgery where you will need to undress and dress again for other in-office procedures. I would size up, so that there is plenty of room for the said drains and added overall comfort. 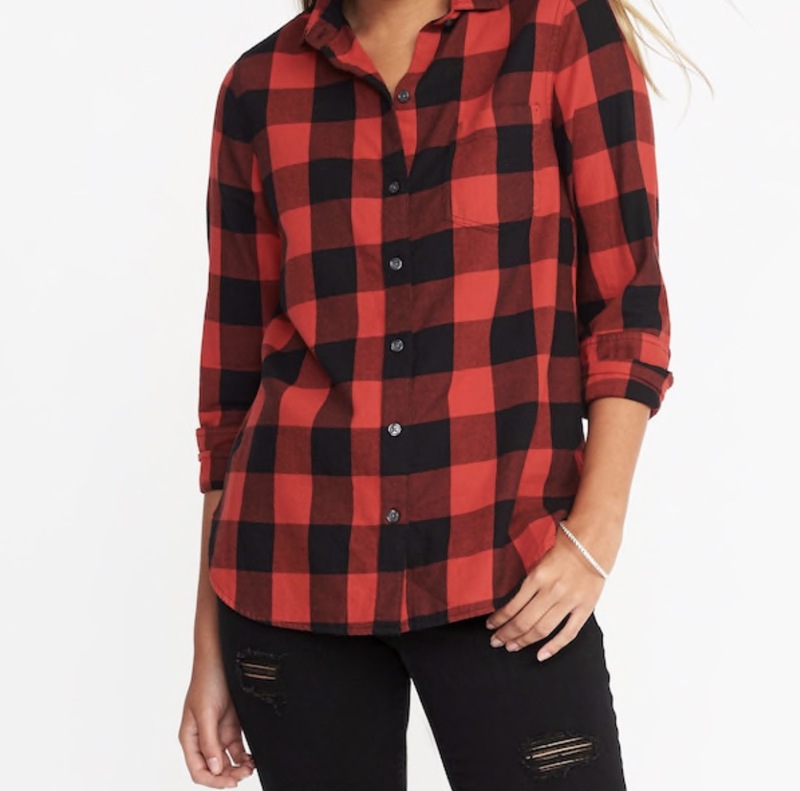 *A classic flannel for under $30, and it comes in a variety of colors, too. 2. Super soft pajamas, that are also button-down in the front, are such a treat. And a much needed change from the standard button-downs that will be worn all day long. And a luxe matching set that can also be worn well after post-op will go a long way. *A simple, will-wear-forever, pajama set. *Comes in a shorts and short-sleeve version, too, for those getting this procedure done during warmer weather. 3. 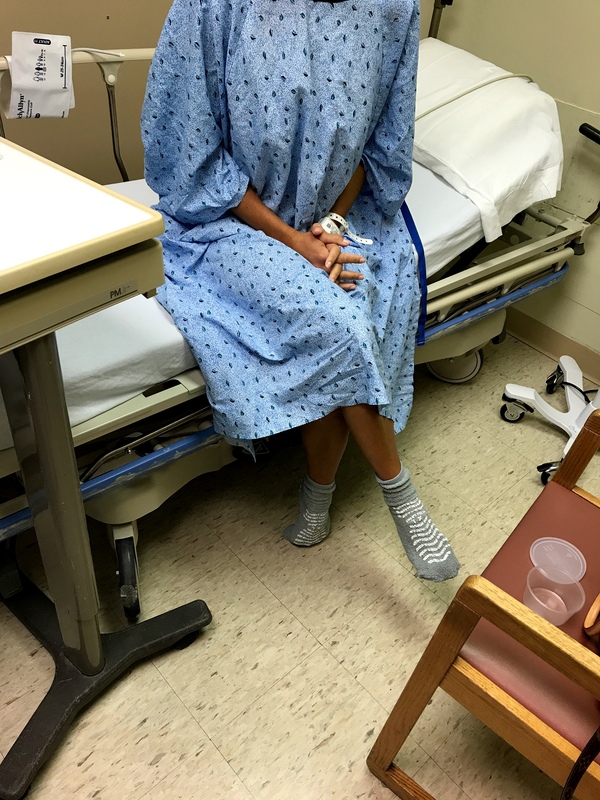 I was given three front-closure bras to go home from the hospital with, that could be worn as early as just one day after surgery and at night as well, so I haven’t tried this particular one out yet, but for those who may not have been given one from their surgeon or hospital, it looks like a really great option. And even for those who may have received one like I did, this brand, though a little pricey, seems much softer and more comfortable. And any increased comfort post-op is key. *Front fastening hook and eye closure is ideal for post-surgery, so that you can leave the last two hooks undone for added comfort in the beginning. And this soft band looks so soothing for the drain holes and then the often itchy scars leftover from those drain holes that can be irritated by regular front fastening sports bras. 4. This may seem so minor, so minuscule, and somewhat antiquated, but a handwritten card. I can’t tell you how good it felt to read some sweet, some short, all thought-out and thoughtful messages from friends near and far. *Although any plain card will certainly do, these are great, and inspiring, to get for someone or even to order as thank you cards if you are the one undergoing a double mastectomy yourself. 5. The day after I was discharged from the hospital, my husband drove me to my local hair salon and treated me to a blowout. Since you can’t wash your own hair for a while, this was much needed, and much appreciated. The hair washing stations at the hair dresser are perfect for not being able to move with ease and not being able to get your body saturated with water. And it just felt so dang good. And there is nothing quite like a great hair day to make everything a little bit better. A gift card for or towards a salon treatment at your loved one’s place of choice is the ultimate present. And a huge bonus tip would be to offer to drive them to and from the appointment to give their spouse or full-time caregiver a break. *If you don’t know your friend or loved one’s favorite spot, ask their mom, sister, or significant other for advice. Some salons and spas now offer gift cards that can be sent via email, too, for added convenience. 6. I am someone who tends to love being smothered in blankets year-round, but that aside, an extra warm blanket or throw would be great to gift to even those who get overheated quickly. After surgery, it was terrible being chilly at all, for even a minute. Already hurting muscle tensing up are no joke. So keep your friends snuggled up at all times. *This is the same exact faux sheepskin throw that my husband and I got when we moved in together almost a decade ago and it has been keeping me extra cozy these last few weeks, both day and night. And it is currently on sale, too! 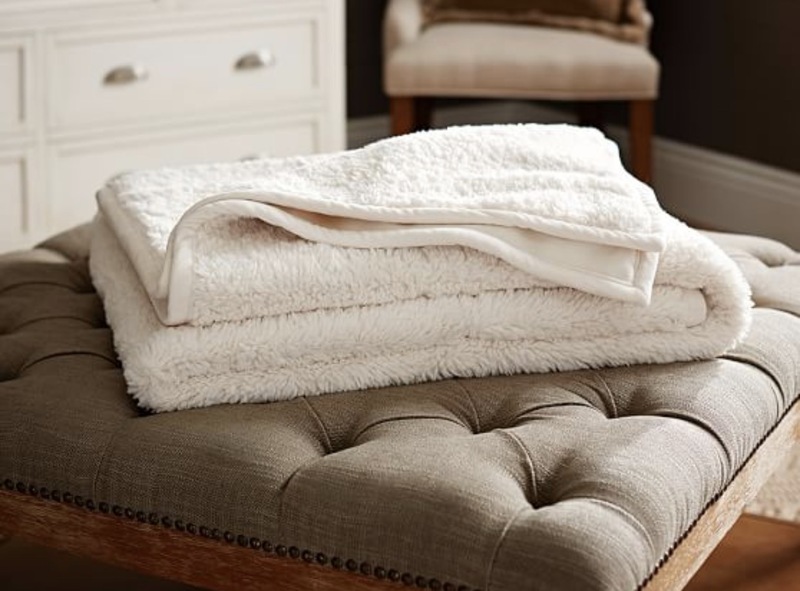 *Another indulgent blanket that is also currently on sale. 7. Remember that whole ‘Chicken Soup For The Soul’ phase of life? Well, it still rings true, sometimes literal homemade chicken (with noodles for me) soup does a body and person so much good. I couldn’t cook for myself (or my family for that matter) for a while after the operation and, honestly, I didn’t have much of an appetite until about last night! And even still it’s not quite back to normal yet. But a couple of friends stopped by with tupperware(s) filled with soup and that’s pretty much all I was in the mood for, for days. *Keep in mind that some women recovering will have families that they cannot cook for, so plan to make something that will feed the whole brood if possible. Or if you aren’t good in the kitchen, get a meal, or meals, from a local establishment delivered to them in the first few days of them being home from the hospital. 8. Along the same lines as a heavy blanket, a warm pair of socks is a perfect token of kindness. These have been in my drawer for a long time prior to having this surgery on the calendar, but I pulled them out almost every night for a while for a little extra TLC. *These are my absolute favorites. 9. Sending flowers may seem like the obvious choice to send to someone recovering from anything really, but in my case I loved getting them. As a mom of three kids 5-years-old and under, I rarely keep fresh flowers in the house for fear of them getting knocked over and for fear of having to keep them, in addition to three other living things, alive. But it smelled and felt awesome to wake up to fresh buds each morning. Especially when you are kind of home-bound for a while. The scattered vases definitely gave me something to smile about each day. 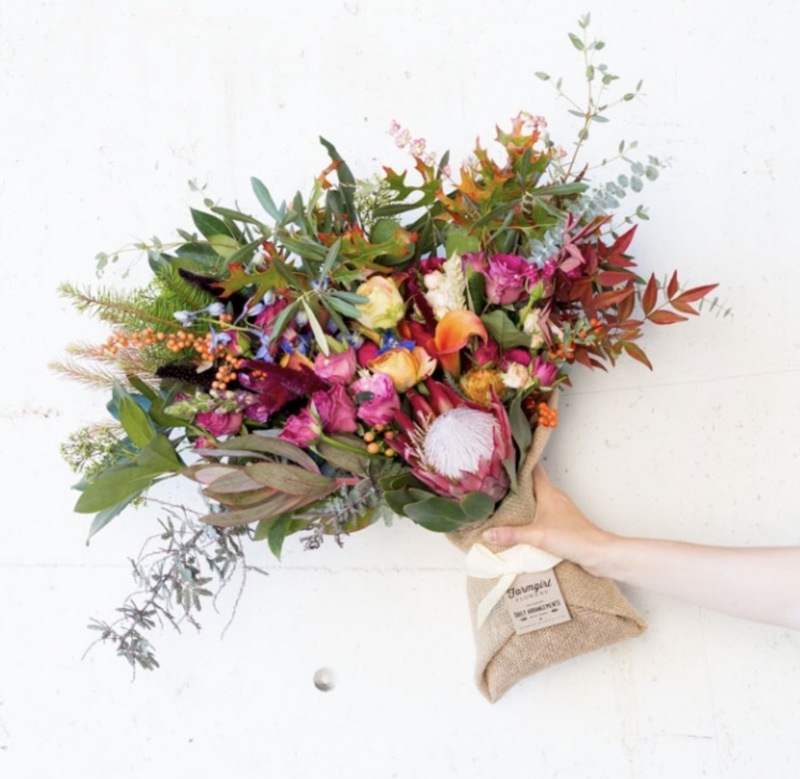 *While I love to support local florists (and local businesses in general, the most), if you are ordering online, I am a huge fan of Farmgirl Flowers because they are committed to supporting as many American flower farmers as they can, even when it costs them more. And their bouquets are stunning. 10. This one is completely personal, because it depends on the faith of the person who is receiving the gift, but for me, my religion is really important to me, and is something I lean on, not just at mass on Sundays, but daily. 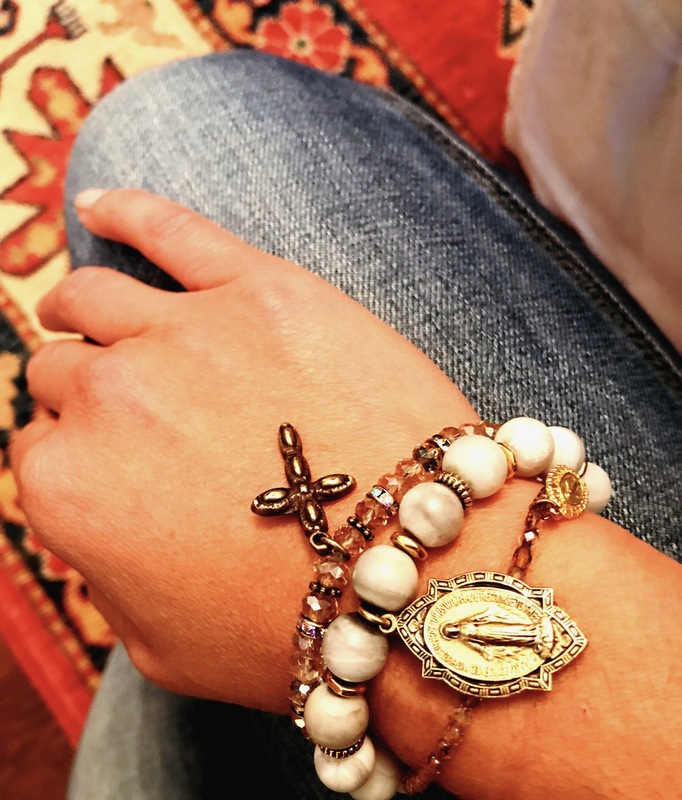 So, a piece of healing jewelry inspired by religion and peace that was given to me just after surgery was and is something I hold near. On a side note (or two), I wore the same, blue, beaded rosary bracelet with a tiny charm of a cross during all three of the births of my daughters (until my third, Liv, yanked it from my wrist at a couple months old and all of the teeny beads went flying) and it was the little, hopeful, tangible push I needed each time. And on the morning of my recent surgery, before they wheeled me into the operating room, I had to remove the cross I wore around my neck, only to look up at my breast surgeon who was wearing a strikingly similar one, instantly calming my nerves. *This small shop offers so many beautiful, personal, unique bracelets to choose from. It’s unfortunate that so many frightening diseases, cancer being one of them, still linger without a cure, and only seem to be getting more prevalent, but anything that we can do to make those going through difficult times a little more comfortable, a little happier, a lot less overwhelmed, the better. Sending you tons of 0positive healing energy. I’m sorry you are going through this. Looking at your smiling face brings tears to my eyes… joyful tears at being Blessed with such a beautiful niece. I’m so grateful that you are a “previvor “. 🙏love you G! What an inspiring post Gina! You are so strong and all of these tips are so perfect. Keeping you in my prayers for a quick recovery.